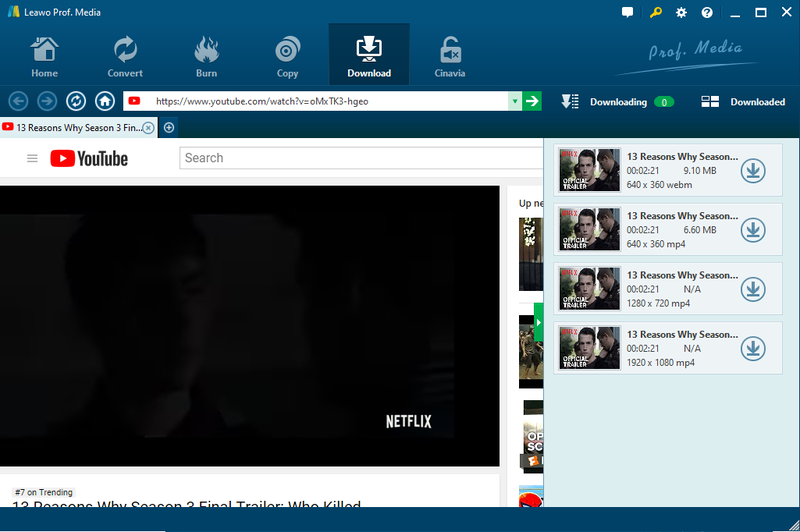 Video Grabber is really popular among teenagers since always. However, sometimes the downloading speed is not so stable and formats are not so rich compared with some professional video converters and video downloaders. Hence, finding powerful and cost-effective Video Grabber alternatives becomes demanded. Video Grabber grants users the ability to download videos from all popular video-sharing websites, for example, YouTube, Dailymotion, Vimeo etc. It is an online freeware and users are able to download and convert videos to formats they like. Also, HD resolutions are available to choose if needed. However, in terms of speed, reliability, and formats supported, Video Grabber is not as competitive as other professional video downloaders and converters. Thus, we will introduce the below top five Video Grabber alternatives for you. This is a top-ranked program in multimedia for both beginners and pros. With advanced video loading technology, this program is capable of loading and downloading videos at 6X speed compared with its peers. More than 1000 sites are supported, for example, Facebook, YouTube, Dailymotion, Vimeo, just to name a few. More importantly, the all-in-one solution enables users to download, convert, and burn videos within several clicks. 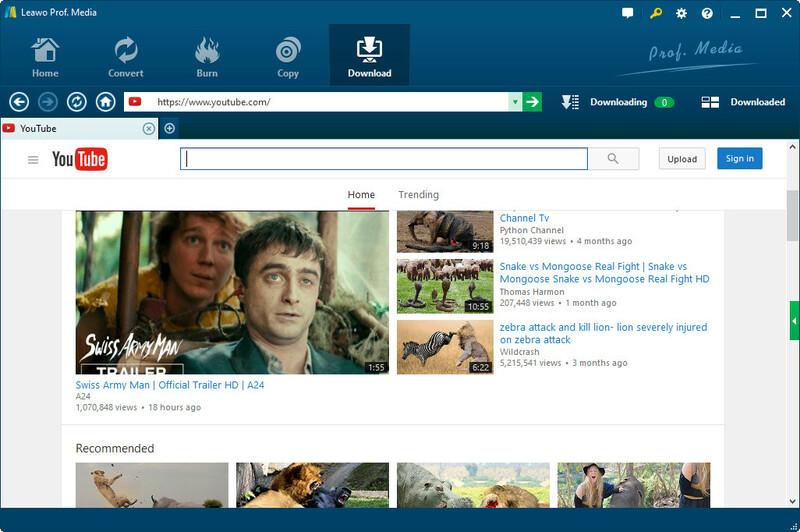 It also features an advanced built-in browser, search engine, and media player. No wonder it ranks top 1 Video Grabber alternative in this case. This is a freeware, allowing users to download videos from any popular websites and convert videos between formats such as MP4, WebM, 3GP, and FLV. It can directly save YouTube music as MP3 files. 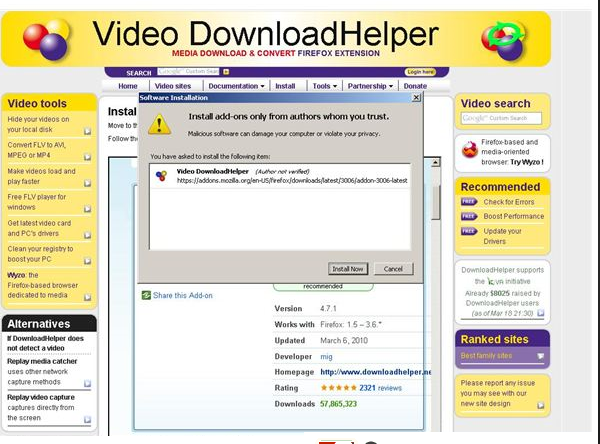 Generally speaking, users can use this program for video downloading easily as the user interface is not so complicated. It is loved by 83 million users across the globe currently and is definitely a good choice for Video Grabber alternative. It is very suitable to function as a Video Grabber alternative. Allowing users to download free videos from 100+ sites like eHow, this program provides a one-stop solution to users for downloading and converting videos. Almost all popular formats like AVI, MP4, WMV, MOV, MPG, etc are supported by this program. A built-in player is offered. It is a fast and easy downloader for you to download videos from any popular websites like YouTube, Facebook, and so on, thus making it a suitable Video Graber alternative. It is an online freeware so users don’t need to install any software and can directly paste URL to download videos from the internet. It is a tool for web content extraction. Its purpose is to capture video, audio, and image files from many sites. Featuring an add-on to Firefox, it is easy to use when you browse any video and expect to download it to your hard drive. The above five video downloaders are all good as Video Grabber alternatives, among which Leawo Video Downloader outperforms other peers. Asides from being able to download videos from popular websites like YouTube, it is worth to mention its other powerful features. HD resolutions like 720P and 1080P are offered for users who favor HD definition videos and enjoy better movie watching experience. Compared with other peers, Leawo Video Downloader ranks top in terms of downloading speed thanks to the advanced video loading technology. In addition, users are free from adware or malware, greatly improving user experience. Now let’s check out the step-by-step guide to download online video with Video Grabber alternative—Leawo Video Downloader. Click the below button to download and install Leawo Video Downloader to your hard drive. Step 2: Search for desired videos from the website. Launch the program, move to the Download page, and paste a URL to quickly locate the video from any popular website with the built-in browser. Otherwise, you can search for the video by entering key words in the quick search box. Step 3: Perform settings before downloading takes place. Click the settings icon on the top toolbar, set items such as directory to save the downloaded video, maximum task number, homepage etc based on your preference. 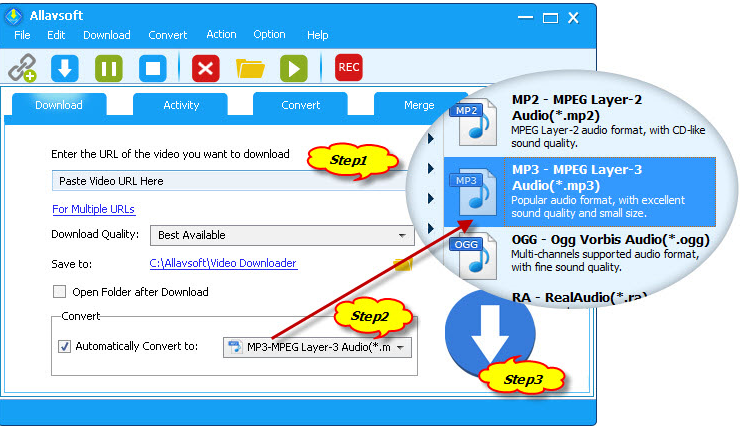 Step 4: Use this Video Grabber alternative to download videos to your hard drive. Open the page with the video that you want to download and a sidebar would come up from the right side of the interface. On the sidebar are the same video of different resolutions and sizes. Click the Download button next to the desired video to download it. Step 5: View the downloading progress. View the downloading progress on the Downloading tab, which allows you to estimate the time required for the job. If a video has been successfully downloaded, it will be shown on the Downloaded tab. By far, you can play the video using the built-in player or deliver it to other devices for watching. A variety of Video Grabber alternatives are available out there for you to try but based on my experience, Leawo Video Downloader will definitely be your best choice. The fast speed, powerful features, and smart settings make this program even more popular among users. As a one-stop solution provider, Leawo successfully combines video downloader, converter, and DVD-ripper etc into one professional program, saving users’ time and cost. Give it a shot for sure.